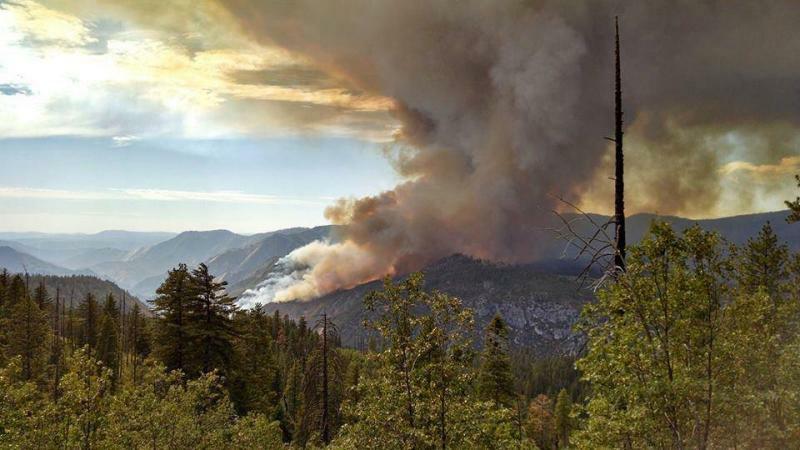 The Ferguson Fire has now consumed close to 95,000 acres near Yosemite National Park, and hazardous smoke conditions have closed Yosemite Valley indefinitely. Nearly half of the fire is now contained, but Yosemite’s most popular tourist destination is not out of the woods yet. 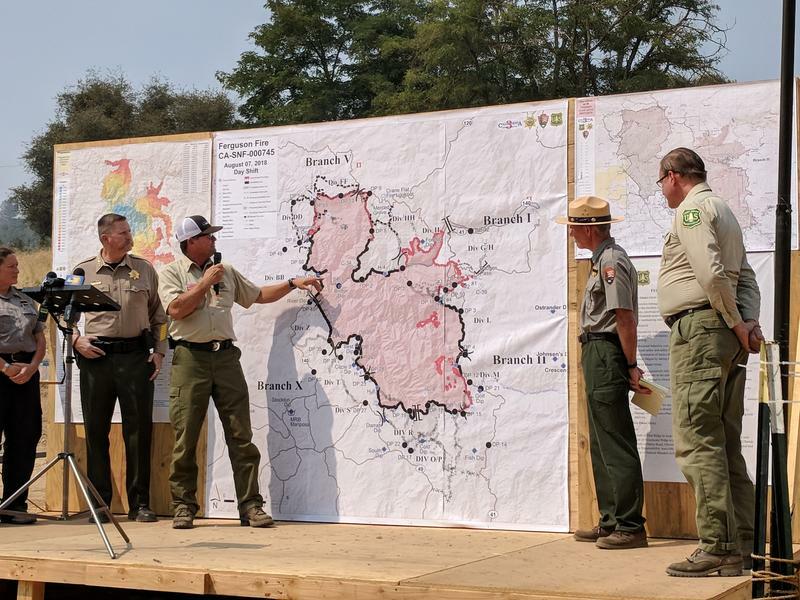 At a press conference on Tuesday, officials with Yosemite, Mariposa County and multiple fire agencies celebrated increased containment, lifted evacuation orders and the opening of some roads near the park. Visitors are being ordered to evacuate some parts of Yosemite National Park by noon on Wednesday due to a nearby wildfire. The Ferguson Fire has consumed over 36,000 acres southwest of the park and is only 25 percent contained. 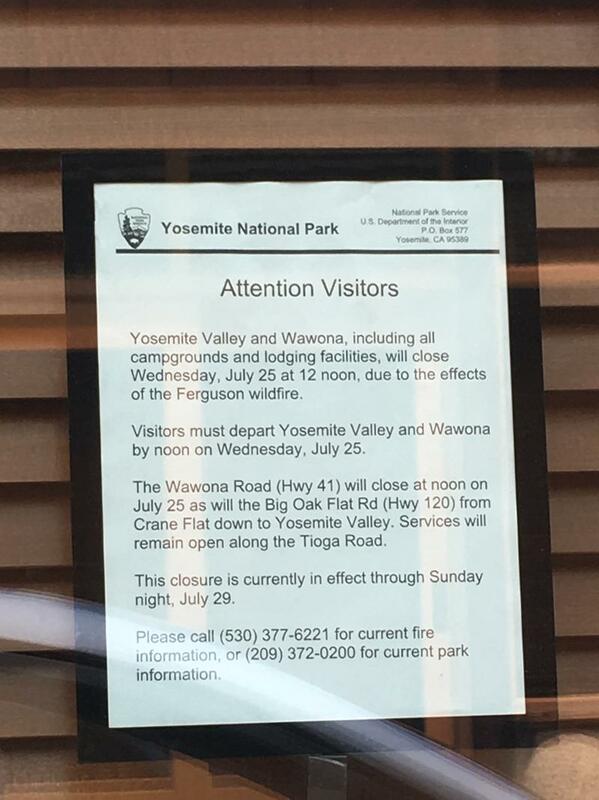 Park officials have announced they’re evacuating Yosemite Valley as well as Highway 41 and the town of Wawona. Park spokesman Scott Gediman says that’s mostly due to smoke from the Ferguson Fire pouring into the park. "With the high pressure system we just haven’t had much wind," says Gediman, "so you’ve got that smoke that just sits there." Last month, interior department secretary Ryan Zinke wrote in an op-ed that the U.S.’s national parks are being loved to death. He specifically lamented the National Park System’s $12 billion backlog in deferred maintenance. But another symptom of the overwhelming power of tourists is ecosystems that need to be rehabilitated. 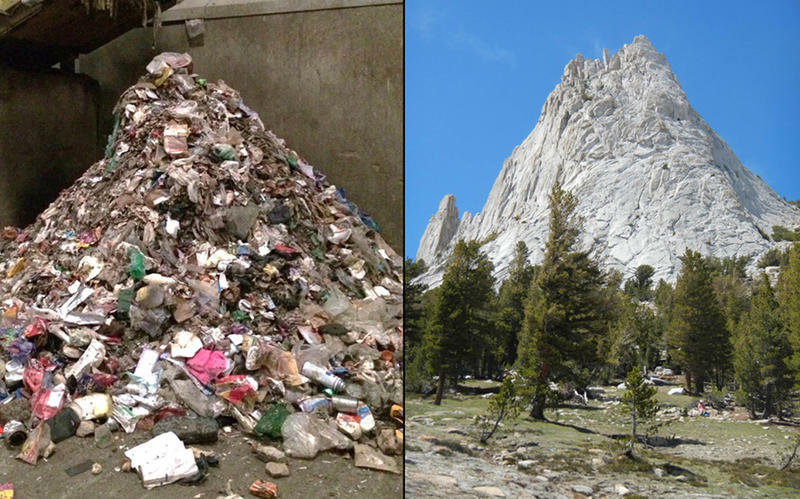 As summer tourism heats up at Yosemite National Park, officials there are reopening one of the park’s most popular destinations. 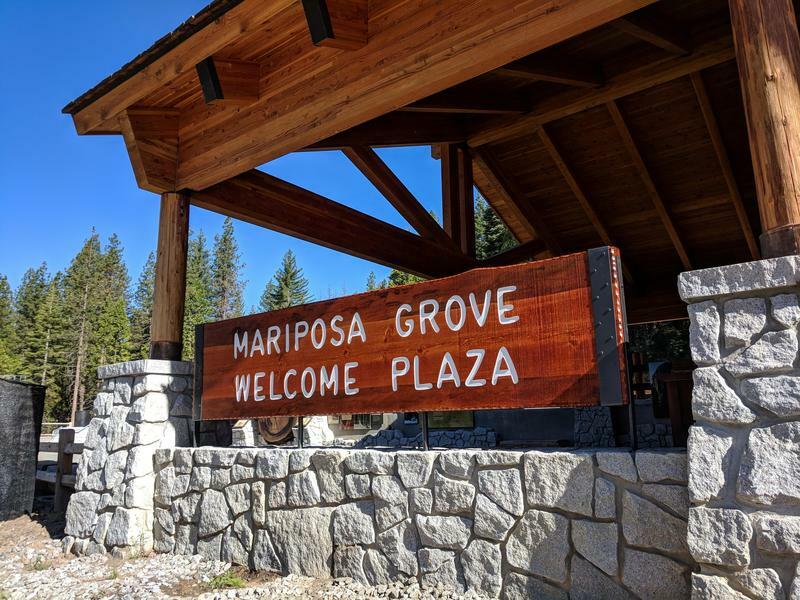 On Thursday, the park unveiled the newly restored Mariposa Grove of Giant Sequoias. 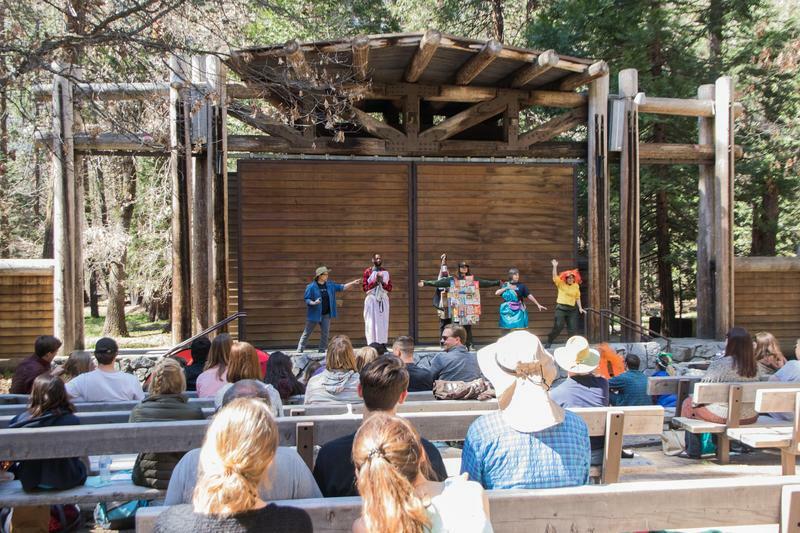 The ceremony on Thursday marked the reopening of the stand of over 500 giant sequoias. 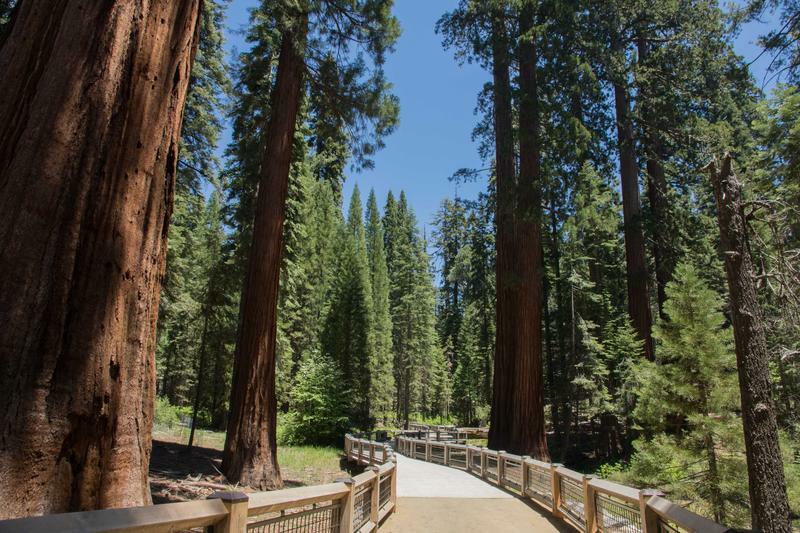 The grove of 300-foot-tall trees had been closed to the public for three years while the park carried out its biggest ever restoration project. The goal: Reduce the human impacts on the trees while still keeping them accessible to visitors. 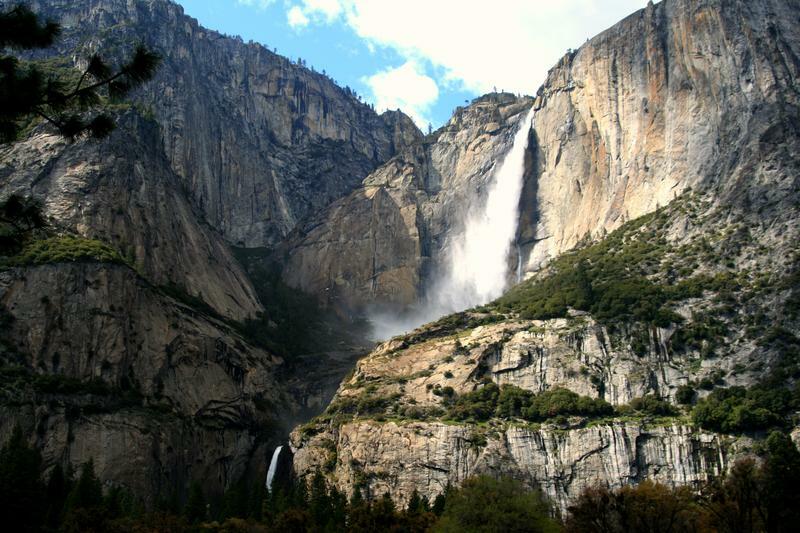 Thursday’s massive rockfall in Yosemite National Park has rock climbers on alert. It’s the second major fall within 48 hours on El Capitan – one of the world’s largest granite monoliths, standing over 3,000 feet above Yosemite Valley. 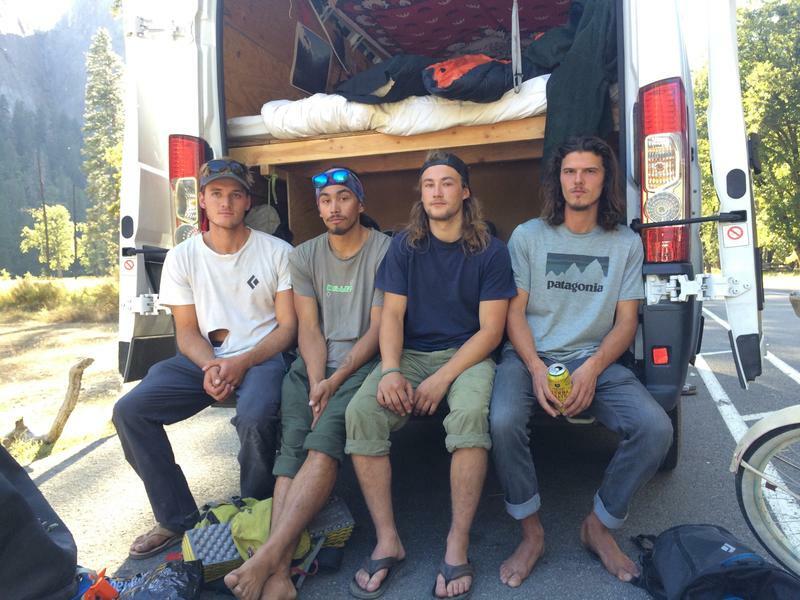 The formation is popular among climbers, like Alec Wright from Eugene, Oregon. He was one of the first people on the scene after the rocks fell. Q&A: Alex Honnold On Climbing El Capitan Without Ropes, Fear And His Book "Alone On The Wall"
Alex Honnold is a real life Spiderman. He’s climbed heights like El Capitan and Half Dome in Yosemite National Park. But what sets him apart from other climbers is that he leaves ropes and carabiners behind. In this interview FM89’s Ezra David Romero speaks with Honnold about his new book Alone on the Wall detailing 20 years of climbing history. Often when we hear news about threatened or endangered species, it’s bad news – populations dwindling, and species struggling to survive. But last week there was a bit of good news, when park wildlife biologists made an amazing discovery. For the first time in nearly 100 years, the rare Sierra Nevada red fox was spotted in Yosemite National Park last month. It’s a major milestone for a species that is thought to consist of only 50 individual animals. 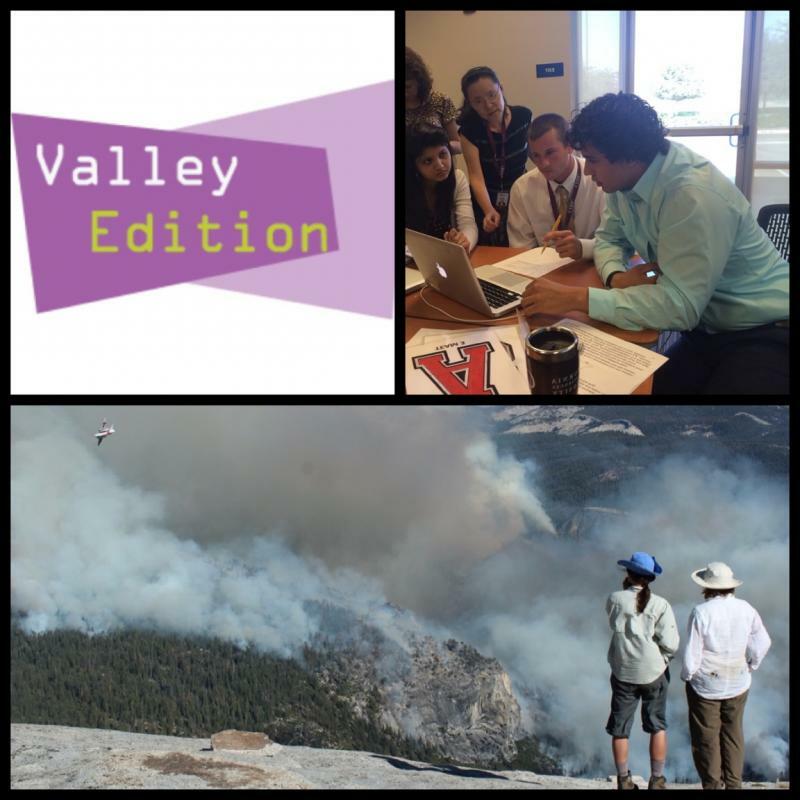 This week on Valley Edition we take two hours to look at the November election. 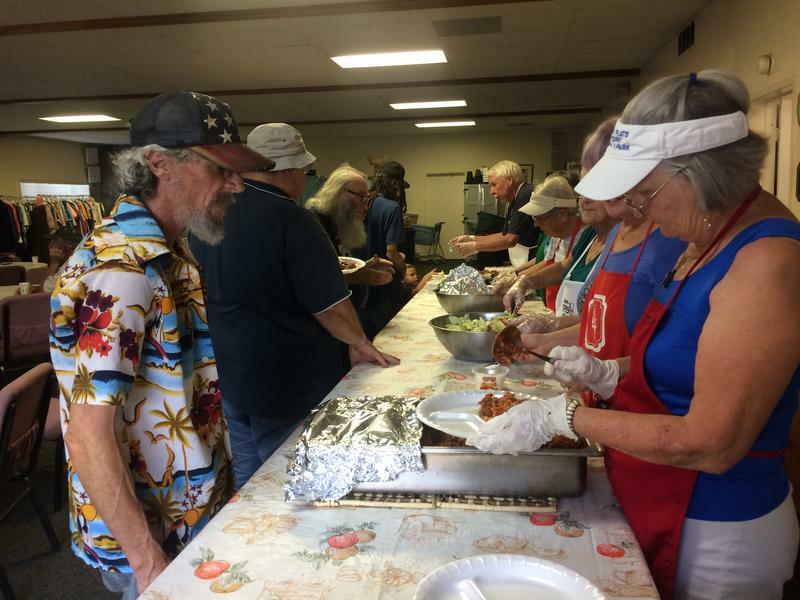 The program begins with KVPR reporter Diana Aguilera’s story on a community displaced by a gas leak in Arvin. 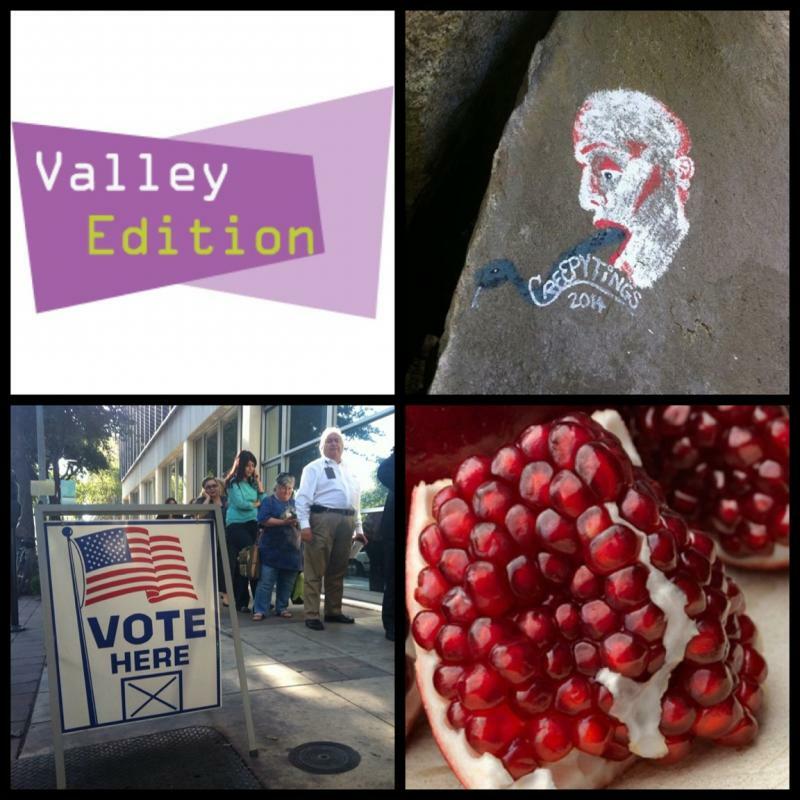 Valley Edition Host Joe Moore interviews Fresno Mayor Ashley Swearengin who is running for California State Controller. He also speaks with her opponent Betty Yee. This week of Valley Edition FM89 reporter Ezra David Romero takes a look a how military grade vehicles are used by one local police force. Reporter Diana Aguilera reports on one students experience at the first pharmacy school in Central California. The hunter who is alleged to have started the massive Rim Fire in the Stanislaus National Forest and Yosemite National Park has been indicted by a federal grand jury. 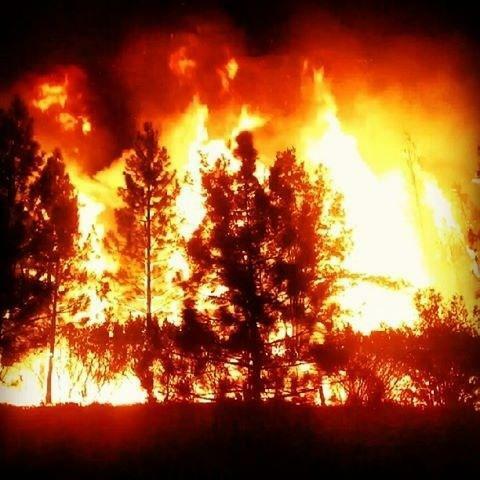 The four count indictment alleges that Keith Matthew Emerald, 32 of Columbia started a fire and let it grow out of control on August 17, 2013 in the Clavey River Canyon. According to authorities, Emerald was on a solo bow-hunting trip in the area and was rescued by a helicopter approximately an hour after the fire was first reported. 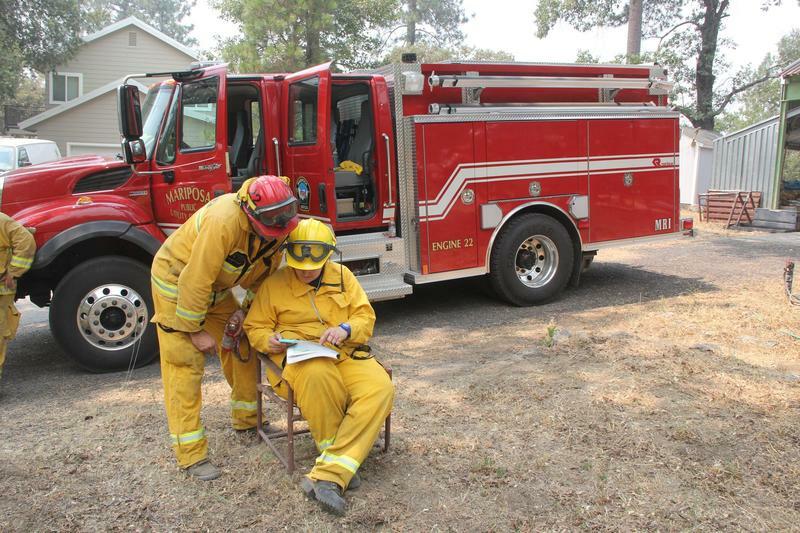 Update: 11 a.m. 7/31/14 - The El Portal fire has grown to 3,900 acres and is still 34 percent contained. According to authorities the evacuation order for Foresta will be lifted at 3:00 p.m. on Friday. 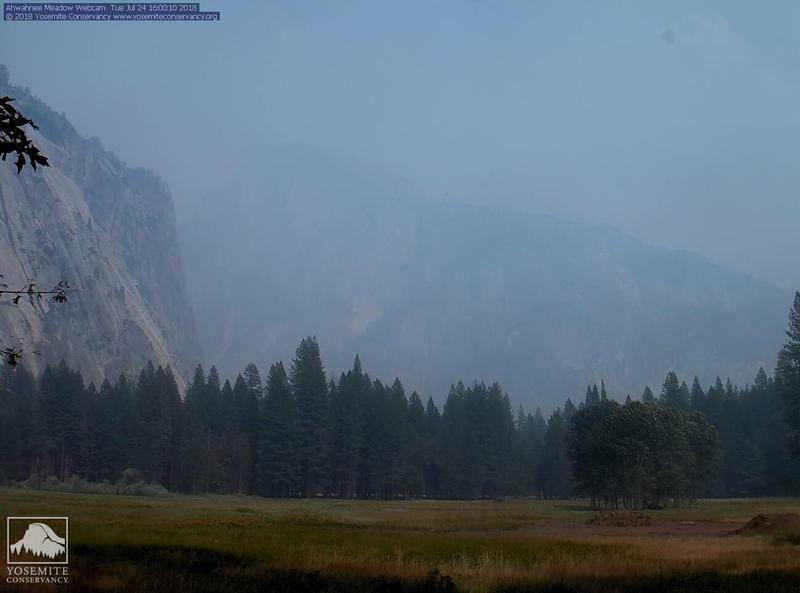 The Big Oak Flat Road (Highway 120) leading into Yosemite Valley has now reopened.